Welcome to the First Year Experience Program! 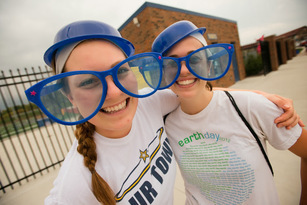 The First Year Experience Program is committed to supporting the successful academic and social transition of new students into the Siena Heights University and Adrian community. We offer you the opportunity to learn about Siena, the concepts of a liberal arts education, this new community and yourself in the First Year Experience program. College is one of the greatest transitions that a person will face. We want this transition to be as smooth as possible for our students!